I’m arriving breathless at the end of this 2017 and I try to sit down to take stock of what happened along the way. Moving from one job to another, from one installation to another, I risk not to realize how good it was this intense year. I am always happy when I travel but also when my artworks travel in my place and this year I can say that both me and them, have gone a long way. They started the year in London with Collect at the Saachi Gallery, then to PAD at Paris with the Gallerie Alexandre Biaggi, at the London Craft week and Tresor at Basel, with Michelangelo Foundation. Then ART Toronto with Sandra Ainsley Gallery and finally at Toyama museum of Art and Design. Personally I had the honor of being a guest artist both at the Denizli Glass Biennale and at the Barcelona Glass Studio. I then returned to Turkey in September to hold a workshop at The Glass Furnace in Istanbul. But I admit that, when I can participate in something beautiful near home, it is always a great emotion and this year really good things happened in Italy too. In Vicenza, thanks to the exhibition Flow I exposed in the best salon in my town: the Palladian Basilica. 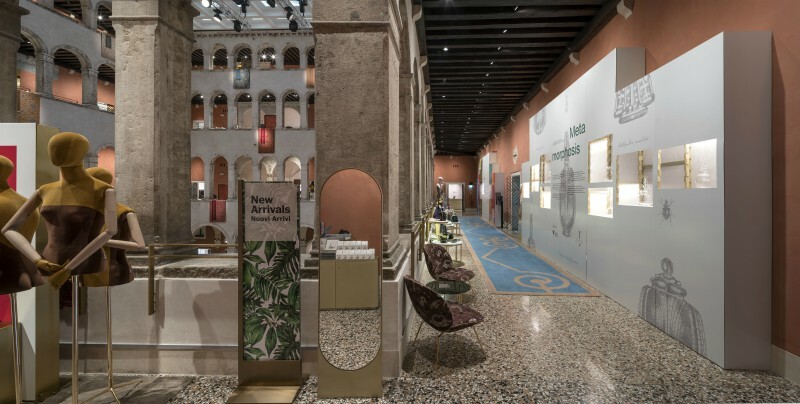 The Milan Design Week this year involved me in 4 different locations, including Doppia Firma at the GAM Galleria d’Arte Moderna, at Palazzo Reale. 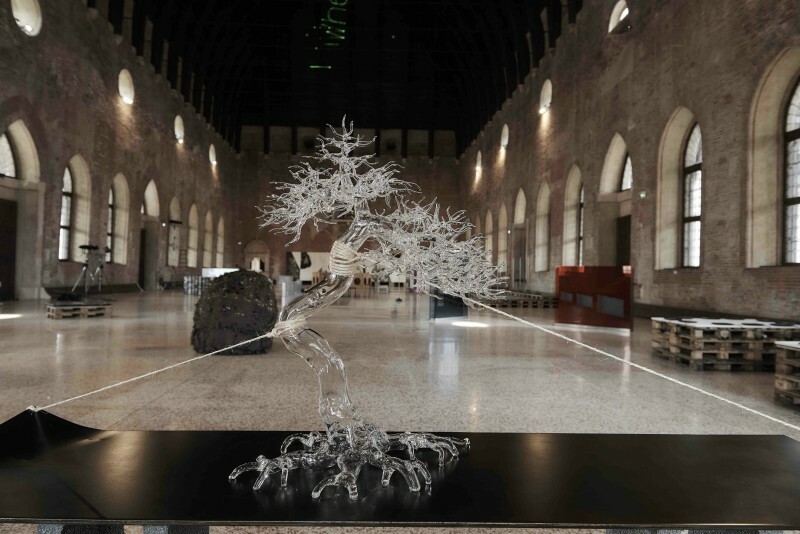 Glass and Venice are linked by centuries of history in common and I’m happy now, to have also added my little piece with the exhibition Metamorphosis at T Fondaco dei Tedeschi and Light blowing at the New Murano Gallery, during the first edition of the Venice Glass Week. 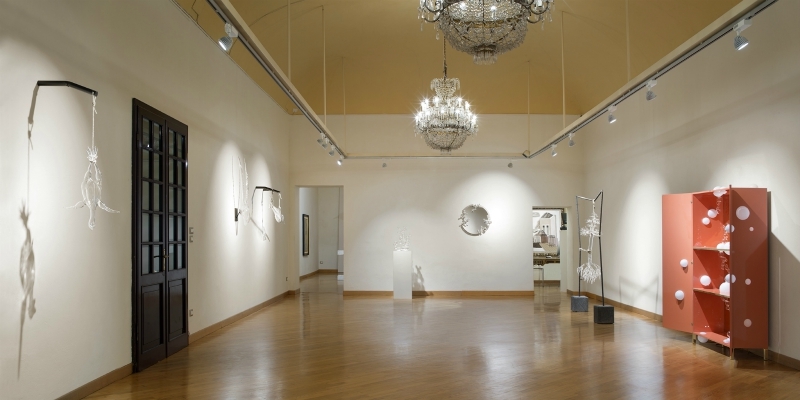 I will remember this 2017 above all for setting up my solo show Sublime Tensions at the Galleria d’Arte Maggiore in Bologna, which allowed the publication of my first catalog. Thanks to all those who believed in me and collaborated for all this to be possible. Next year promises to be equally intense and full of opportunities. I hope I can keep you updated on upcoming events and maybe meet you in person. I wish everyone peaceful days and a new exciting year.